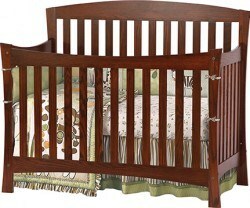 There is little in this life that is as exciting as the arrival of a new baby. 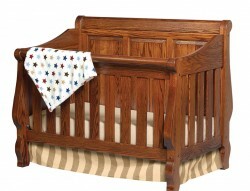 Planning a nursery and creating a sweet, soothing retreat for a child or grandchild is a delightful part of the process—and oftentimes, the crib is the focal point of this special place. 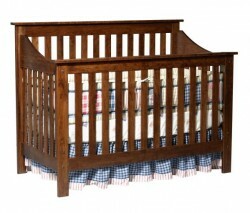 The cribs at Amish Originals are built from solid American hardwoods, not chemical laden veneers or particle board. 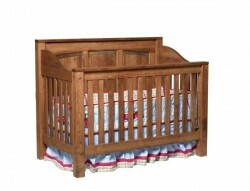 Additionally, our cribs safely transition to toddler beds and then again can become a full size bed for your growing child. 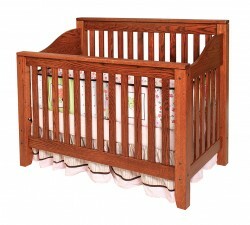 Built for both beauty and durability, your crib will last through hand-me-downs and all the tough love that your kids can throw at it! 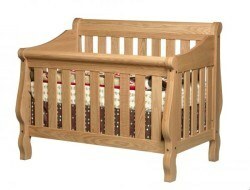 All cribs come fully assembled, so you can skip the frustration and rest assured that your child will sleep safe and sound. In business since 1992, Amish Originals works with more than 70 Amish furniture craftsmen who have honed their skills for generations. 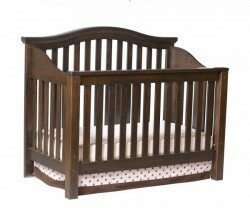 All cribs are made-to-order, which means that you can select the wood species, stain/paint color, and style that will best suit your nursery. 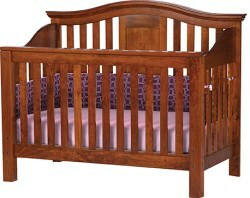 Come see the quality of our cribs first hand; stop by our storefront in Uptown Westerville or call for a quote and more information.